As Executive Vice President and General Counsel, Julie Jacobs is responsible for all legal, regulatory, compliance and public policy matters for Oath, Inc. Julie also oversees Oath, Inc.’s Corporate Services function, encompassing Oath, Inc.’s facilities and operations. Julie was the principal architect of the 2012 patent transaction with Microsoft generating more than $1 billion in value. She also led a series of high profile acquisitions, including The Huffington Post, TechCrunch and Adap.tv. In addition, Julie led Oath, Inc. through its 2009 separation and spin-off from Time Warner. 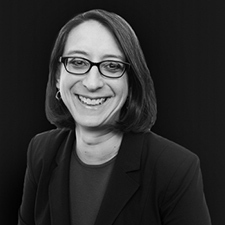 Prior to becoming General Counsel, she served as Senior Vice President, Deputy General Counsel and Assistant Corporate Secretary at Oath, Inc.. Julie joined Oath, Inc. in 2000 from Milbank Tweed Hadley & McCloy LLP . Julie graduated from Georgetown University Law Center where she was a member of The Georgetown Law Journal and holds a Bachelor of Science degree in Finance from the University of Colorado, Boulder.